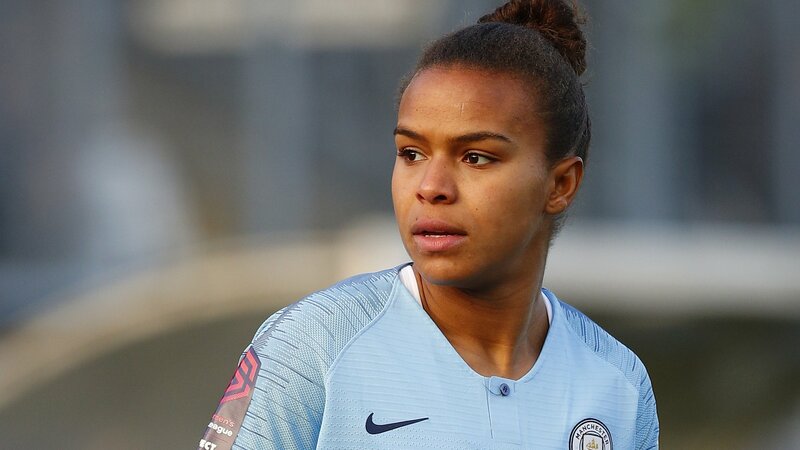 A Nikita Parris hat-trick helped Manchester City edge past Reading and extend their lead at the top of the Women’s Super League. City trailed to Brooke Chaplen’s well-placed finish but Parris put them in the lead with three unanswered goals. Demi Stokes added a fourth before Fara Williams’ penalty and Kirsty Pearce’s tap-in reduced the Royals’ deficit. Nick Cushing’s City are five points clear at the top although second-placed Arsenal have three games in hand. Reading had won just two of their last nine competitive fixtures but took a surprise early lead when Remi Allen’s header was pounced on by Chaplen, who slotted the ball beyond City goalkeeper Ellie Roebuck. Parris, returning from England’s SheBelieves Cup-winning campaign, nearly equalised sooner but saw her shot cleared off the line by Reading midfielder Jo Potter in the opening quarter. The WSL leaders were soon back on level terms, however, when Parris connected with Jill Scott’s fine pass before tucking the ball in off the post. England skipper Steph Houghton had a good chance to make the scores 2-1 midway through the first-half when her free-kick, destined for the top-corner, was tipped away by Reading goalkeeper Grace Moloney. City completed their first-half comeback after 36 minutes when Parris latched on to Stoke’s cutback, and Parris added her third three minutes later after again combining with midfielder Scott. After the break, the WSL’s top-scorer Parris turned provider, setting up Stoke’s for City’s fourth. But the gap was soon reduced back to two goals when Allen was adjudged to have been fouled in the penalty area, allowing Williams to pull a goal back from the spot. Pearce made the final five minutes tense for City, poking the ball in following a save from Roebuck, but the visitors held on for the victory.